Simona Cafazzo graduated with honours in Biological Sciences at the University of Rome „Tor Vergata“, with a thesis on social organization of a group of semi-feral domestic cats. She obtained her PhD in Behavioural Biology at the University of Parma doing research on social dynamics and spatial distribution of a group of free-ranging domestic dogs. During this period she collaborated with the Istituto Zooprofilattico del Lazio and Tuscany to a project concerning the monitoring and evaluation of dog shelters in Lazio. Then, she worked on a research project in collaboration with ASL Roma D and University of Parma, which aim was to gather information on telemetry methods, usually used as a control tool in pharmacological study, as an evaluation tool of dog shelter welfare. on cognitive abilities of shelter dogs, depending on social environment, stress and deprivation, in view of behavioural adaptation that the dog will live after the adoption occurred. She obtained her first post doctoral grant at the University of Bologna where she carried out researches on welfare of farm animals (piglets and calves). 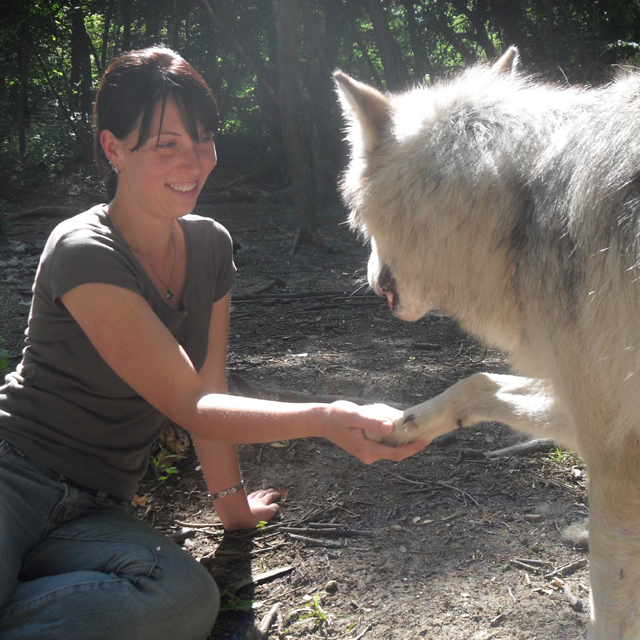 In 2012 she obtained a grant to study conflict management strategies in wolves and dogs at the Wolf Science Center and the University of Veterinary Medecine of Vienna (Austria), where she worked until the 2016. Currently she live in Milan but she is still collaborating to some research projects with the the Wolf Science Center and the University of Veterinary Medecine of Vienna. She is author of peer-reviewed papers of social behaviour and welfare of dogs, wolves, cats, piglets, and calves.